Heavy casualties made replacements at the front necessary. Trench warfare was practically over, most of the fighting now being in the open or from tree to tree. Men of the 83rd Div. 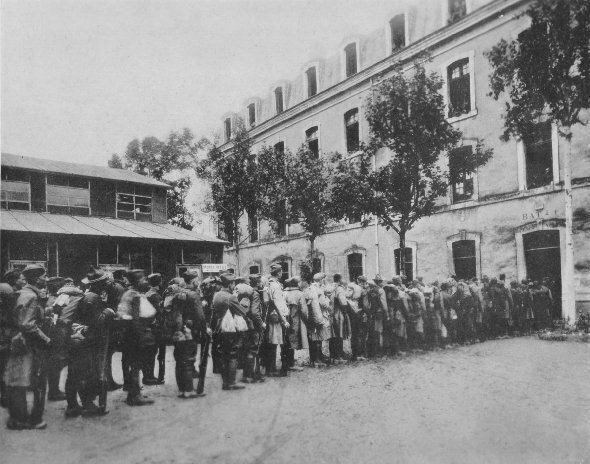 are going into billets, Oct. 6, at Le Mans forwarding center where troops were outfitted for the front.